I recently received a pair of Hawaiian Flower bobby pins for review and found them stunning and durable. At $9.00 a pair this is a very affordable way to look stylish and unique. It’s important to watch the sizing and styling videos before ordering, as it is very important to have the correct size in order to be completely happy with one’s flexi. But if by chance you do order the wrong size, Lilla Rose will gladly exchange your flexi for free within 90 days. There is also a one-year guarantee on defective items. Independent Consultant Renee Rhodd, this post’s sponsor, has made a special offer for The Mama Maven readers: If you choose to hold an online party you can earn free and half-priced Lilla Rose products. In addition, just for hosting a party, you will receive one item of your choice (up to $16). To hold a party, contact Renee Rhodd at clipartistry@ymail.com or via her facebook page www.facebook.com/clipartistry. NOTE: You must be a NEW Lilla Rose customer to qualify for this special. 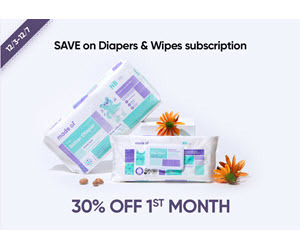 Yet another special offer to The Mama Maven readers: new customers can get a “Buy 3 Get 1 Free” deal until the end of June. Three lucky winners will get a Lilla Rose item of their choice (up to $16 each). The giveaway is open to residents in US, Canada and Mexico. As always, if you prefer to leave a comment under this post, instead of in Rafflecopter, that’s okay. The giveaway is over. Congratulations to our winners: Kerri, Julie and Samiha! I like the o- clips! Looks great for long hair! My favorite item is the flower-shaped earrings. They look stunning!